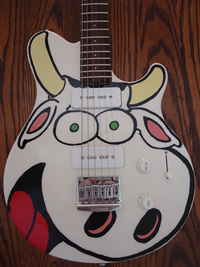 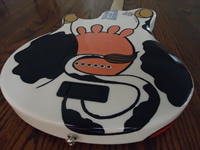 Each of Leigh's Rubes ® "Moosic-Man" guitars is a one of a kind, hand-painted and signed, custom piece of collectable cartoon art. If you're interested in owning one or just want more information, please fill out the form at the bottom of the page. 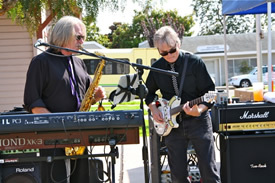 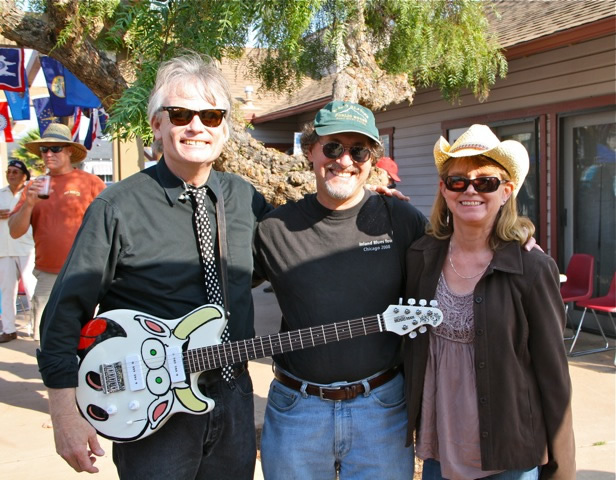 Making moosic: Santa Maria Sun, March 7, 2012. 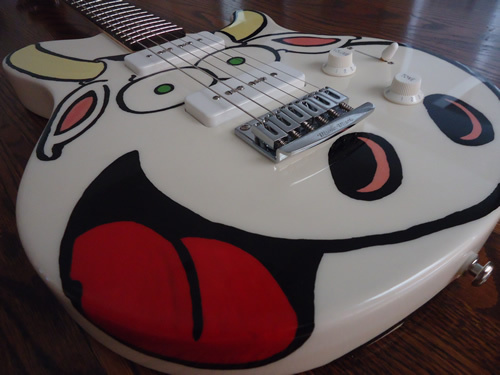 Leigh Rubin teamed up with Ernie Ball guitars to create his latest work of cartoon art. 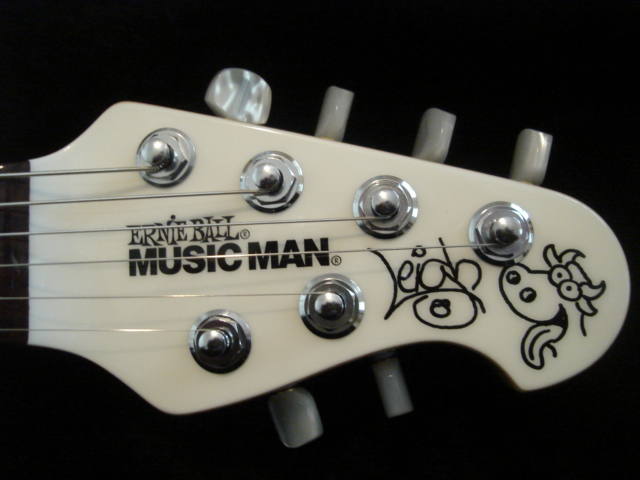 Some people can look at a guitar and see a finely crafted instrument. 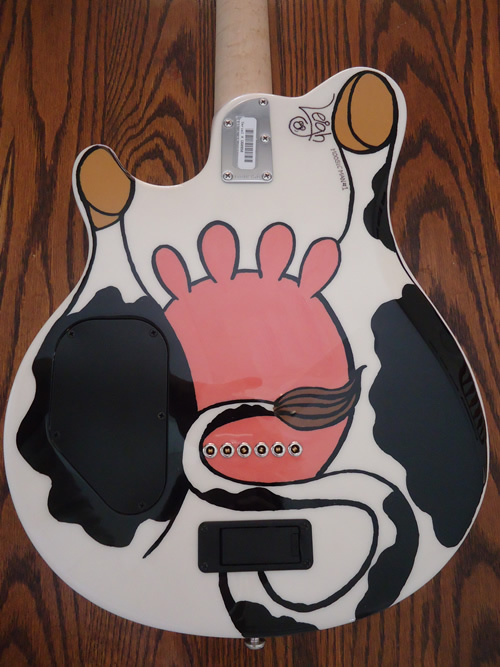 Leigh Rubin looked at a guitar and saw a cow. Nationally syndicated cartoonist Leigh Rubin (Rubes) is in town for a couple of speaking engagements and stops by our studio for a visit this morning along with his cartoony cow guitar! Unfinished Business lead guitarist Ed Miller with Leigh and Teresa Rubin, 9-11-11. A cartoonist visiting the World Dairy Expo this week has made a career out of exposing the wild life of cows.